You can't go wrong with the all-around comfort and sleek-sophistication of the Allee smoking heel from Munro®. 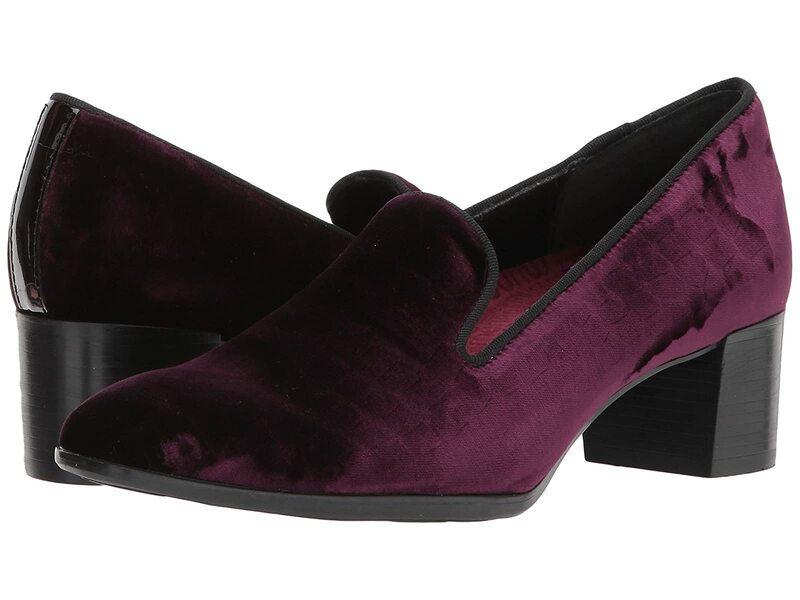 Soft and rich velvet uppers with a round toe. Easy slip-on smoker loafer pump. Soft and breathable, moisture-wicking fabric linings with a pig suede counter pocket. Offers a removable, fully cushioned contoured footbed for all-day comfort. Flex zone in the forefoot provides added flexibility. Features a riveted steel shank for stability and support. Modest heel with a stacked-look. Flexible and shock-absorbing rubber outsole. Product measurements were taken using size 9, width SS (AAAA). Please note that measurements may vary by size.